Place two tablespoons of already made Easy Kefir into a 16-ounce jar. Fill the jar with milk. You can add more tablespoons if you have bigger jars and are adding more milk. The ratio is about 1 tablespoon of Easy Kefir for every cup of milk. 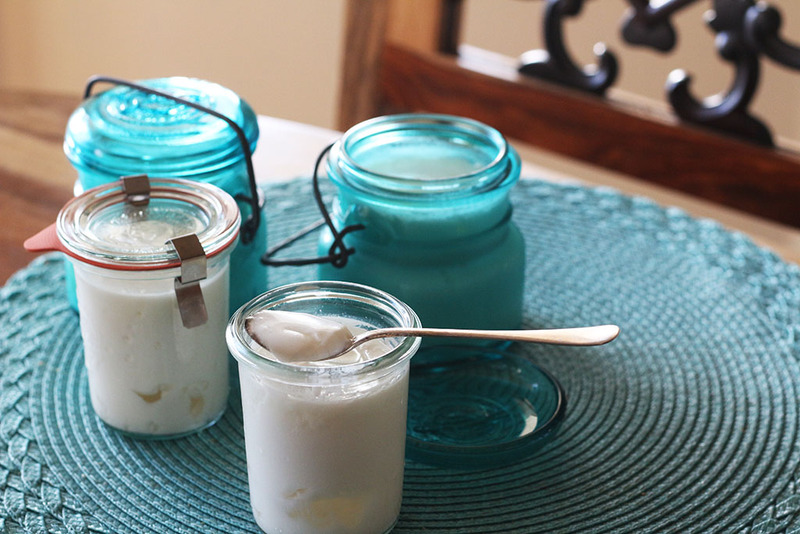 Let kefir ferment for 24 hours on your counter. Then place in the refrigerator after the 24 hours or when kefir turns thick and tart tasting. It will last in your fridge for many months staying perfectly preserved due to the high amount of good microbes that keep out pathogens. My new meal planner & shopping list! Simply pick the recipes that you want to make for the week, and it will automatically create a printable shopping list for you!